Yesterday we shared why it’s so important that we engage with God’s Word every day. The Bible App makes it easy, with hundreds of Reading Plans, ranging in length from just a few days to a whole year. 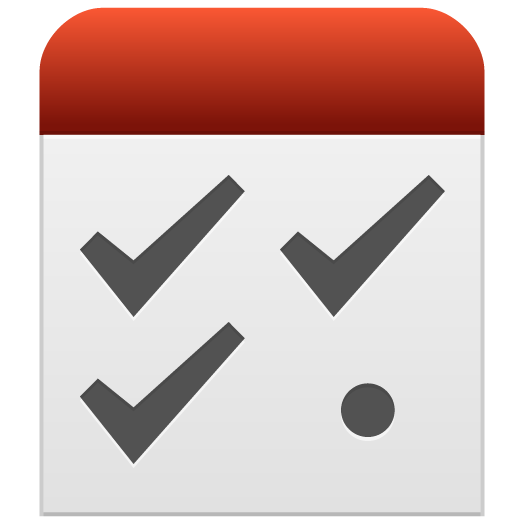 To find your next plan, browse through the convenient categories, or use Search to find something specific. The new year offers us a great time to get back to basics on the things that matter most in our lives. The first step may be the hardest, but it’s also the one that has the most power to change your life! What’s the most important voice in your life? You can probably picture a specific person’s face, even hear their voice in your head. That relationship didn’t “just happen.” You work on it. You value it. That’s the kind of relationship God wants with you as his adopted child. And what in your life could be more important than that? He wants you to talk to him, and he wants to talk to you—through his Word. Starting a new year is the perfect time to freshen relationships and renew dreams. What might your 2013 look like — if you leave space to hear from him? Get your free YouVersion account. Then just start reading God’s Word—or listening to it—a little each day. It really is that simple! To help you stick with it, invite your friends! It’s easy to connect to Facebook and Twitter and let them know what you’re reading. If you’re still having a hard time picking a plan, check back here tomorrow. We’ll share highlights from some exciting, brand-new Reading Plans, as well as some proven favorites! Please join us today in celebrating the birth of our Savior, God’s gift to us of His only Son. To the worldwide YouVersion community: Thank you. You are why we do what we do. Because of you, we’ve been able to bring the Bible for free to more people than we could have imagined. These are just a few ideas. Try to focus on why the Bible is special to you. 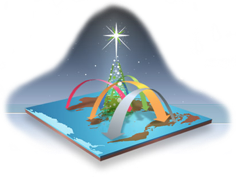 And most important, have a wonderful Christmas as you celebrate the gift of a God who is with us, Emmanuel! Enhanced Offline Experience. 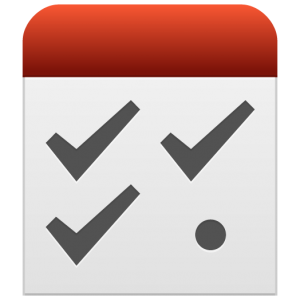 We’ve added offline capabilities to most of your favorite features, like Reading Plans, Notes, and even your customized Today view! 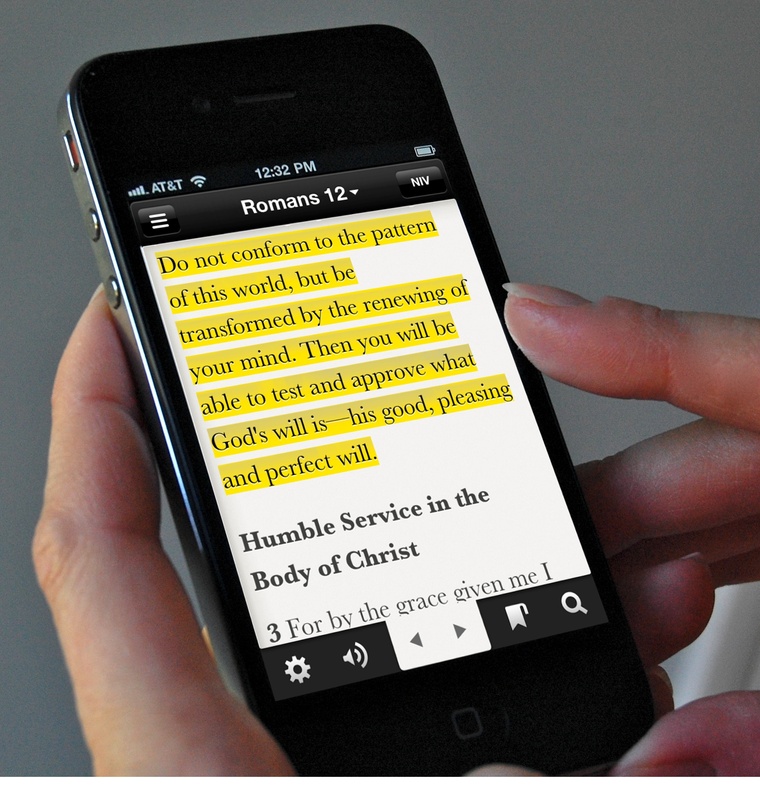 We’ve also improved the display of your list of downloaded Bible Versions when you’re offline. Now the Bible App for iOS stores information for all of these things locally on your device, only syncing with your online account in the background once you’re connected again. Add new Notes and keep up on your Reading Plans, anytime, anywhere — even when you can’t get a signal! Better Bookmarking. Bookmarks still work the way you’re used to. 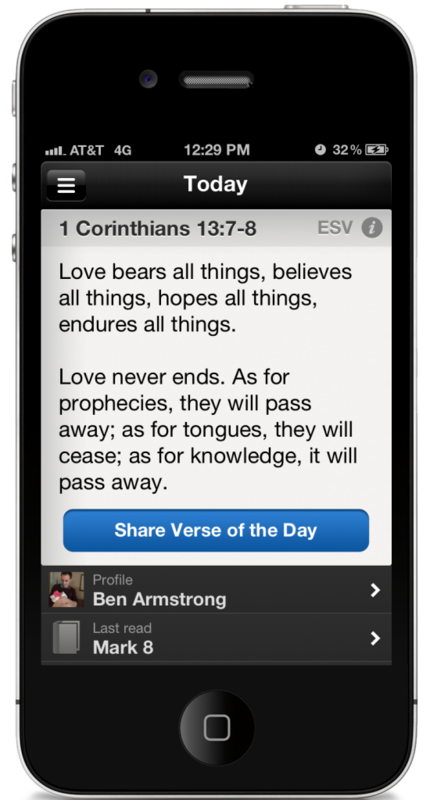 Just tap a verse or passage you want to share, memorize, or study to Bookmark it. But we’ve added the ability to edit your Bookmarks, so you can keep them organized just how you like. In-App Password Change. You’ve always been able to sign in and out from inside the Bible App, but if you wanted to update your password, you had to visit YouVersion.com. Not anymore! Now, for the first time ever, you can change your password directly from the Bible App on your device. Thai Language Support. You probably know that YouVersion offers Bible versions in more than 200 languages. But did you know that, thanks to an awesome worldwide community of YouVersion translation volunteers, you can also set the Bible App’s interface on your Apple device—menus, buttons, and controls—to display in any of 31 languages? Simply go to Settings, General, and pick your favorite, or change the default language for your device. Thai is a brand new addition to YouVersion’s interface language offerings, available first on iOS in this release (and coming soon to more platforms)! Bug Fixes and Performance Enhancements. As always, for each new release of the Bible App for iOS, we take the opportunity to make several improvements and adjustments. While our community lets us know about issues through our Support website, our own testing and development often reveal things we can do to make your overall YouVersion experience better. Be sure to let your friends know about this latest update to the Bible App for iOS, especially if they speak Thai! And come see us on Facebook and Twitter. We love hearing from you! For users interested in understanding our strategy in regards to iPhone 5, please read this blog post. For the third year in a row, the Bible App™ has been ranked in the top 100 Free apps for iPhone on Apple’s “Best of” list. The Bible App was in the top 100 for iPad too — which means that it has appeared in the top 100 iPad apps every year since the iPad was introduced! Of course, the real story behind the Bible App’s success and recognition is you, the global YouVersion community. It’s because you download the Bible App onto your devices and help your friends download it onto theirs. It’s because so many of you use the Bible App every day to engage with God’s Word. It’s because you never stop sharing how the Bible is shaping your life on Facebook, on Twitter, and face to face. And it’s because so many of you generously donate your gifts and talents as volunteers to help YouVersion constantly improve. 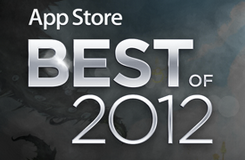 YOU are the “Best of 2012.” Thank you. And congratulations!